This is a must read booklet for every believer. Each and every Christian sincerely desires to hear Christ say to them, “Well done thou good and faithful servant.” However, do we really know what is required of us to hear those precious words? 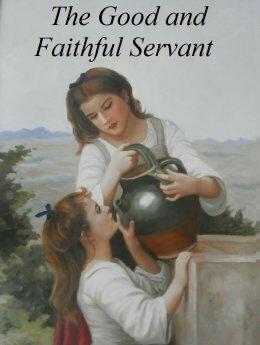 This booklet outlines those unique qualities Christ is looking for in His servants. Professor Nathan Schaeffer once made a fascinating comment, one all Christians should consider. He said, “At the close of life,” “the question will not be, how much you have got? But how much have you given? Not how much you have won, but how much have you done? Not how much have you saved, but how much have you sacrificed? faithful over a few things, I will make you ruler over many things. Enter into the joy of your lord. (Matthew 25:21). On the other hand, envision the tragedy of many who have been called, but who will not realize this hope. They will not hear the Savior pronounce these words because, while believing in God, they will not have fully known what it means to literally be His servant.